Hands up if you’d like to live healthier, happier lives? Full of energy and vitality. Well it all comes down to your guts and how well you can balance that baby out with good bacteria. Have beautiful support for your immune and digestive systems with healthy gut flora growing happily. Easily said but in a world where we are bombarded with chemicals, toxins and food on the go, it can be hard to maintain good gut health. Think about the food you put in your mouth – fresh or steamed vegetables, good fats such as avocado, coconut oil and your Omega 3s – hello fish! These will all greatly benefit the work your digestive system is trying to do. Fermented foods also greatly benefit there is also Natto – a little rare to find unless you live in Japan, and very much acquired taste. However you can make your own fermented goodness in the form of sauerkraut, fermented pineapple or kimchi. Relatively easy and will last for months, as a little bit goes a long way. You don’t sit down to a bowl of it instead have it as a condiment to flavour up your meals. A probiotic supplement such as PB Assist will go a long way in helping maintain good health bacteria also. All of my family take this or the junior PB Assist with is a huge hit with the kids. Read more about the importance of a good probiotic and PB Assist here. Recently I had the privilege to take part in a pineapple fermenting workshop at the local community farm and was delighted to see how simple this process is and delicious. 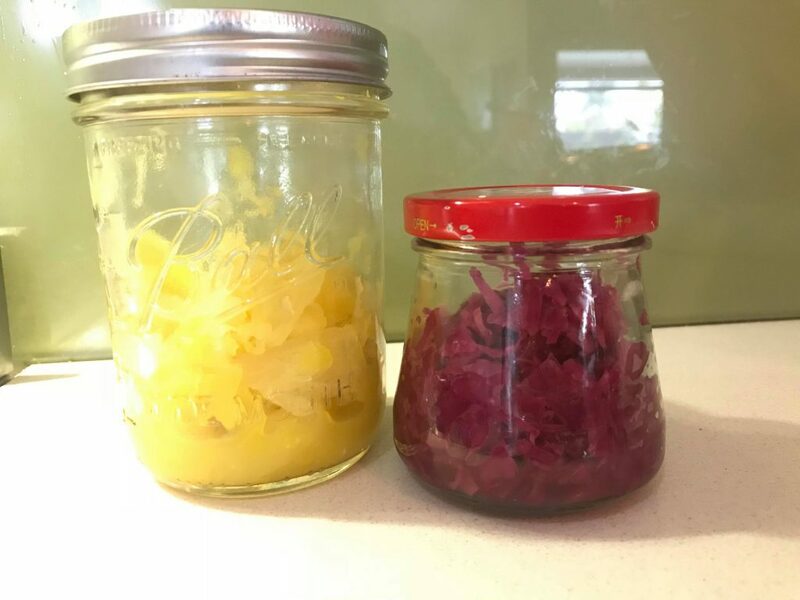 You will see my pineapple jar on the left, and the typical sauerkraut made from red cabbage on the left. With its cooling and reliving effect, peppermint is perfect to inhale or to add a drop into peppermint tea to help settle the tummy. A favourite is also the peppermint beadlets for pop in your mouth on the go support, instant alertness and breathe freshener. Also great in pregnancy for those morning green feelings. During breastfeeding it is cautioned as can lower milk supply. Used for its benefits since ancient times ginger is great at supporting the immune and digestive systems back to optimal health. Soothing and assisting in digestion, as great to have on hand for those that don’t travel well in cars or boats. Perfect to add to your homemade kimchi or fermented foods. Our fermented pineapple has a healthy dose of ginger and tumeric. Delicious in stir frys, gingerbread, apricot and ginger balls, ginger cookies and especially with a drop with lime in soda water for a refreshing drink. With its unique chemical composition Cardamom gives both digestive and respiratory support. With its calming soothing effect it can help settle tension and contractions in the digestive tract. 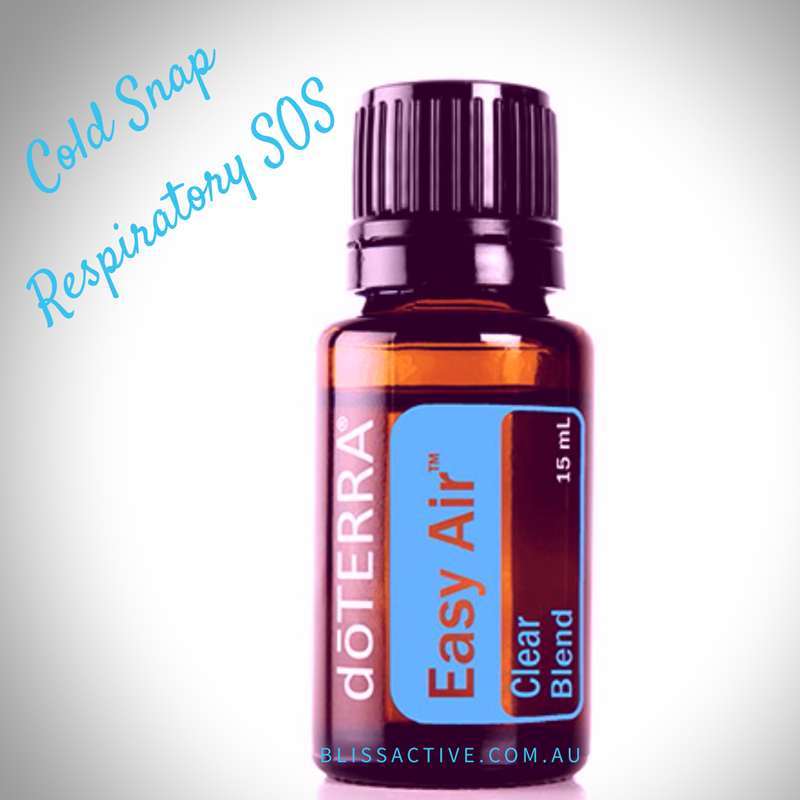 Also very calming and relaxing for the airways, a key oil in Easy Air, the key oil for respiratory support as well as my “Cough be gone” blend. It is a hidden gem in the cooking world too, delicious in apple pie, poached pears, chai lattes and banana bread. Would be amazing addition to the Fermented Pineaple too. What do you like to use as your healthy gut nutrition and support? Love to hear others suggestions. Pack into sterilised jar. Place the saved outer leaf on top of the jar with the bump side to the top. To help keep the cabbage and pineapple under the juices. You can weigh down the top of the leaf too with a ceramic disc. Leave to ferment on bench for 5- 7 days out of direct sunlight. During fermentation you need to release the gases as they build up by “burping the jars. Not too much air in but just lift lid slighlty. Then discard outer cabbage leaf and place in fridge to store. The Engine of your body – you want to have this firing on all cylinders! Gut Health is critical to the body’s immune and digestive functions. Essentially everything is linked back to gut health. Be it some skin irritation to the more obvious tummy upsets, the link is back to your digestive system. Do you replenish your good health bacteria? A few simple ways to do this is through fermented foods such as sauerkraut or kimchi, kombucha and yoghurt. To help with the bodies natural systems. 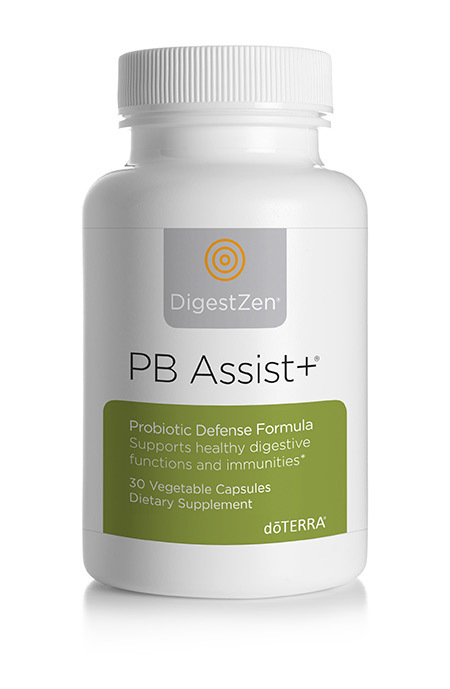 When you are trying to restore balance in your system a good probiotic such as PB Assist is a must for happy healthy gut. PB Assist is comprised of a prebiotic fibre and six strains of probiotic microorganisms, delivered in a double layer time release capsule. The prebiotic is in the outlayer. The unique benefit of the second layer to pass through the harsh stomach acids to allow the probiotic to reach the intestinal walls and deliver active benefits of the cultures to providing a comprehensive intestinal flora support. 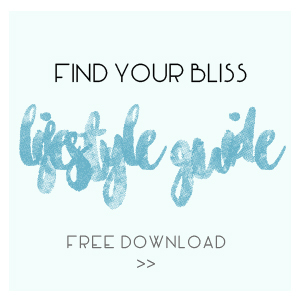 Click here to pick up your PB Assist and have it delivered directly to your door. And I will help you get set up to receive at the wholesale price, smartest way to shop and earn extra bonuses. For those already with a Doterra account, please remember to select US shop to find this item. Or reach out if like a hand, happy to help you. Aromatically, Topically, Internally….. What do these all mean? Since you’ve been a baby you’ve been exposed to “fragrance” inside of lotions, creams and washes that you’ve been using. Topical application is application to the skin, we always recommend diluting to avoid skin sensitives also to help the oils absorb into the skin better with a carrier oil. Personally, when I am using topically it is most likely I am using a roller bottle. A glass bottle of 5ml, with a roller bottle on the top. These are pre-dilluted with fractionated coconut oil as the Doterra Essential Oils are so strong you only need a few drops. For every 5ml I only have 10 essential oil drops and top the rest of the bottle with the fractionated coconut oil. I will apply these to my pulse points, wrists, neck and behind ears and wear as a perfume. These also support me physically and emotionally throughout the day depending on what I am needing. A beautiful process to nourish and hydrate your skin by diluting your favourite essential oil in fractionated coconut oil and liberally applying it all over your body from your toes, along your legs, thighs and buttocks, across the belly, chest, neck, back and arms. This is a wonderful way to wear your fragrance for the day, moisturise your body and help provide support with your favourite essential oil or combination. No need for toxic perfumes when you can do it naturally. Put on your favourite music and rub in circular motion all over your body to really get into the aromatic dressing movement. The combining of 2 or more oils in a roller bottle, dish or diffuser. This is great for allowing a few oils to work their magic in harmony at once. Layering is a technique to apply multiple oils one at a time waiting in between. Applying one oil at a time waiting 1-2 minutes between each one allowing the essential oil to absorb, most take 15-30 seconds and then allow them to take effect. This allows each oil its moment to shine and support the body as best it can. I cut my toe on an oyster shell it throbbed all night, the next morning the wound had started to heal but it was throbbing. So I rolled on some frankincense, within moments the cut opened up and a small amount of fluid released giving instant pain relief. Then I rolled tea tree on the top to help cleanse the skin to keep nasties out while it healed itself again. Diffusing is the most effective way to help disperse the benefits of the essential oils for your entire home. Your home will smell gorgeous, and help transfer the aromatherapy benefits of essential oils to everyone in the family including the pets. You can create an upbeat lets get things done with peppermint and wild orange to a serene tranquil vibe for everyone to calm down with balance and lavender peace. Alternate to a diffuser, you can inhale essential oils directly from the bottle. Or add a drop to your hands, rub together and cup to your nose. You can also purchase inhalers which allow you to add a few drops of oil to a cotton wick that sits inside a nasal inhaler. Some may choose to even fragrance a handkerchief to then bring to your nose and breathe in. Why not to burn essential oils? We are always cold diffusing, which means that the essential oils aren’t being broken down and changing the molecular make up of the chemicals. You may have a memory of incense or candles being burnt that caused instant headaches, aside from them possibly containing synthetics the burning of them can make them toxic. Diffusers are also designed to turn off when finished and you can also pre-set the timers, big tick on the safety. Being cold no little fingers can get burnt either. 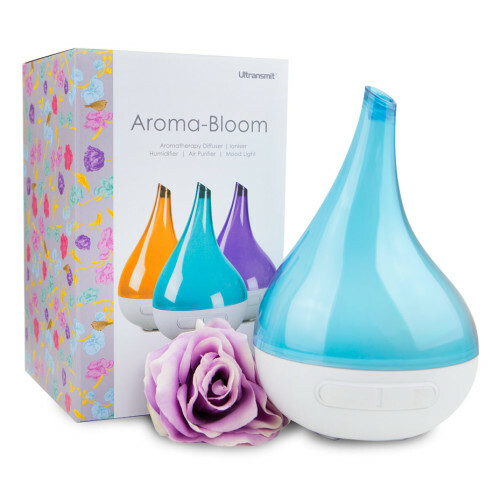 Cold aroma diffusing has an ionising effect, improving air quality as they release negative ions up into the air that attract to the positive ions, causing the dust to fall to the ground. This is great for all respiratory related issues, as it is aggravated by dry air. Safer & cleaner – no heat and without condensation, so wet walls & windows or hassle of correct sleep wear for when traditional humidifiers will go out in the night. Essential oils such as clove, cinnamon bark, thyme and oregano can help kill the bacteria & fungus present in the air. On this same note you add a drop of essential oil such as Purify or Tea Tree to cotton wool ball and pop it into your shoes to help eliminate odours. I recommend investing in a good quality diffuser so you don’t waste your essential oils, as you will most likely find with cheaper versions you’ll require more oil as it won’t disperse in the room as well. Doterra have a petal diffuser $58 very practical with 1, 2 & 4 hour settings with a night light option. Or my new favourite is the Lumo Diffuser $104 with 2, 5 and 10 hour settings with the beautiful wooden base and colour therapy with optional rainbow light feature. I do have a selection of Aroma Blooms, Allure, Aroma Moves, Aroma Sky and O’mm diffuser available too. See link here. Yes this does mean you can put the oil in your mouth, again dilution is recommended with most. 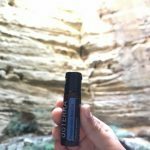 Although many will swear by the drop of Frankincense under your tongue daily for emotional support and cellular support. Frankincense is the hunter and he will find where in your body needs the most support and go there. Daily I take a couple of drops of essential oil lemon in my morning lemon tea. Remember not all essential oils are created equally and I only use Doterra essential oils for their high quality testing, pure form free of chemicals and nasties. Wild Orange in your mineral water is just like fanta without the calories. Another form of taking internally aside from within drinks is to drop a few drops into a veggie cap and swallow. I use this form more commonly when I am needing to boost up my immunity, along with an immune bomb roller for my feet and spine I will take a veggie cap every few hours to up the anti, and fight off the nasties. To read up more about internally usage please refer to my article here . Please note the prices are listed in wholesale as this is the smartest way most economical to purchase and the same price I pay for my Doterra goodies. Click here and select join and save to get started. Sharing the benefits and helping others lead a natural healthier lifestyle has been a passion of mine for many years. Fortunately I had a couple of people share with me the beautiful Doterra Essential Oils and I could immediately see the ripple effect sharing these with others could have for better physical, emotional and metal health. Personally I would shout the benefits of Doterra from the rooftops even if I wasn’t being paid. However this company is so very generous it has given back and fulfilled many of my dreams in so many ways, at the forefront being empowered to help my family be proactive with their health and kick things to the curb early. Having partaken directly in activities to help support communities in third world countries a key philosophy behind Doterra’s mission. Through to being generously compensated for work that is very fulfilling. Many have asked me about how they can build a Doterra business also. In the graph you’ll see the breakdown of the Monthly and Annual Incomes by rank. No doubt these will blow your mind. What is even more exciting is that these are achievable for you, and the upfront commitment is simply $35 for your doTerra Wholesale Account which you may already have if you’ve already been enjoying the benefits of essential oils. The key to moving through these ranks is duplication. To progress quickly is consistency, belief in product and confidence in yourself. 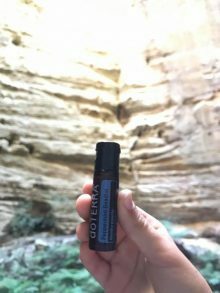 The beautiful part about doTerra is its community be it to learn how to use your products for different ailments or conditions to surrounding yourself with uplifting, encouraging and motivating people. This business will take you on a personal and professional development that will lift you out of funks and into highly inspired mindsets and be paid abundantly. Executive means your team has an Overall volume (OV) of 2000. This volume comes from each time someone in your team makes an purchase going towards your OV. 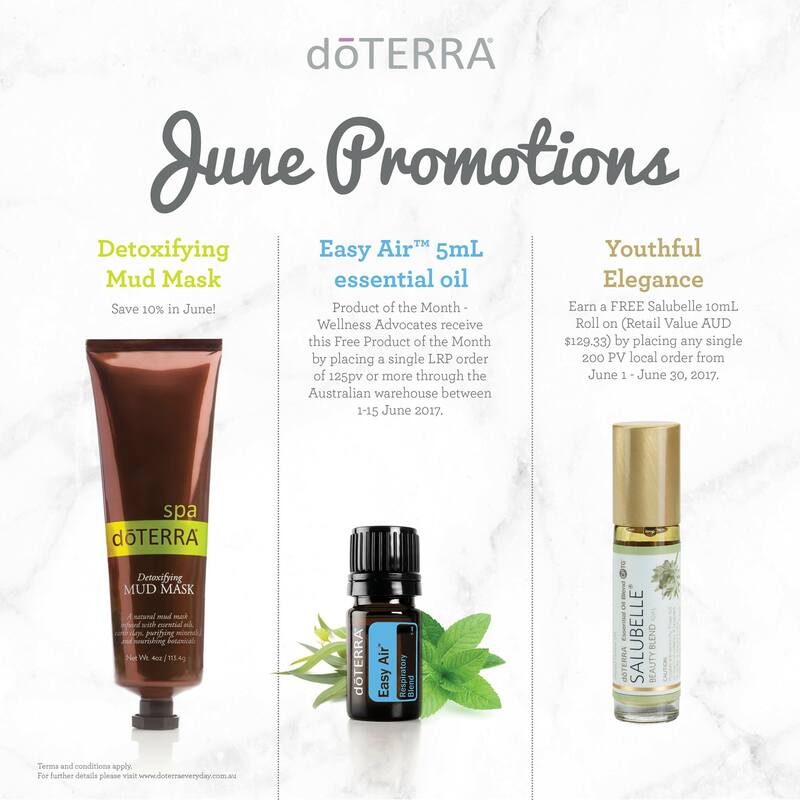 This includes new enrolments, existing members orders including Loyalty Rewards Program (LRP) Doterra’s generous points program as well as one time only orders. Average income is $200 per month, taking 1-3 months. Elite is 3000 OV from within your team, this is an important first rank of acknowledgement as this is the level that your orders will pay for themselves and plus a little. I achieved Elite in one month. It is very achievable and average time frame is up to 6 months, income $400 – $900 per month On average a class will have 500 OV. Personally I like to try assist my team reach this within 3 months. Focus: Build Belief in the Product, Courage to share experiences (personal and others), invite to change lives. Bonuses come into play and residual income is evident from the Leadership Ranks, it also opens you to extra support groups, and access to some events set for Leadership ranks. Premier is the first understanding of building volume within groups in your team. Overall you need 5000 OV made up of 2 personally enrolled leaders that are in separate teams in your organisation with 2000 OV each, Executives. The remaining 1000 OV can be included in your own personal order and another team within your organisation. Tip is to look at having two leaders have 4 classes each for the month and you have a couple of classes. This took me less than 60 days to achieve. On average it is 8 months, and income is $1100 per month. I like to help assist my team set up for this rank from the time they get going to help place them in the best position for future growth opportunities. Empowerment Bonus is paid out to those that achieve the rank of Premier each month and have also personally enrolled 1 new person that month with an enrolment order of 100pv or greater. The Empowerment Bonus is 1 share which is from $200 – $290 paid each month. Focus: Belief in the Company & Opportunity, with integrity, present in the message. Grow trust to enrol. Silver rank is achieved when you have 3 separate teams with 3000 OV each, Elites, your total OV will be 9000 or greater. Personally I reached Silver within my first 2 months, double ranking past Premier in 60 days. On average it is 13 months, with $2296 per month income. First time access to the Leadership pool, which you will receive 1 share as a bonus for the month. As a Silver you will also receive the Empowerment Bonus highlighted under Premier of $200 – $290 additional bonus for enrolling at least one new personal per month. As a Silver, DoTerra also reward you with your own personal account manager to help guide you in future planning, and extra hands to support you along your journey. Focus: Build Belief in You. With Commitment, model success habits, Solidify certainty. To reach Gold we identify our 3 Leaders that will achieve the rank of Premier – 5000 OV in 3 separate teams in your organisation, and will assist them in growing their 2 Executives each. Mapping these all out is an important phase of this rank. 15 000 OV would be the minimum for you to reach this rank. It took 10 months to achieve Gold, and was in my first month of Diamond Club. On the average income for is $4875 per month and takes 14 months to reach. You will receive 5 shares of the Leadership Pool per month. Focus: Build Belief in Your Builders. With love, transfer vision. Nurture a team culture of duplication. To reach Platinum you will have helped 3 leaders with separate teams in your organisation reach Silver, a very exciting rank for your leaders that will inspire their own teams to reach higher. Platinum average income is $9413 per month and takes 23 months. 27 000 OV would be the minimum for you to reach this rank. Receiving per month 10 shares of the Leadership pool. This is a beautiful stage as it allows your leaders to take on a more hands on leadership role for their teams. Focus: Build Belief in Your Team. With Gratitude, expand community & leadership. Amplify momentum. 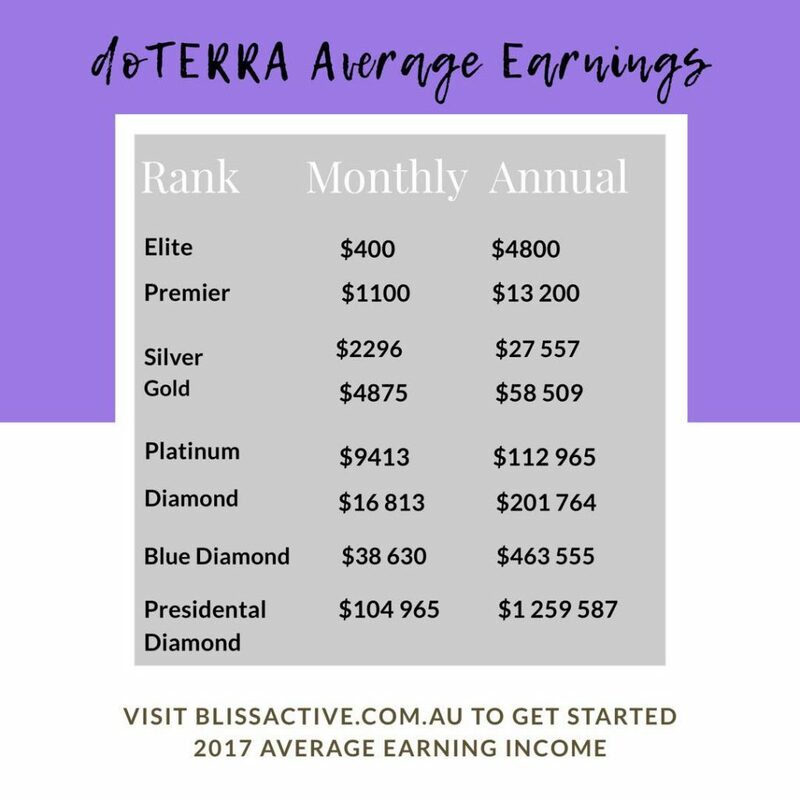 Diamond is really the pinnacle of all your efforts, very prestigious and respected doTERRA rank. Deep appreciation for the many lives that you have reached and empowered in many ways. As a Diamond you will have 4 Silver teams, and each of their teams will have 3 Elite teams. 36 000 OV would be the minimum for you to reach this rank. On average it takes 36 months to achieve and income of $16 813 per month. Annually $201 764. A point at which many leaders consider retiring their partner. This took me 24 months to achieve, during my second Diamond Club journey, double ranking skipping Platinum. Focus: Build Belief in Your Why. With Diligence, inspire and lead a movement. Multiply abundance. An amazing achievement with 5 Gold Leaders in separate teams in your organisation see you reach Blue Diamond. 75 000 OV would be the minimum for you to reach this rank. I am excited for my team to reach this rank as I know many have their sights set on being Gold Leaders or beyond and how this growth will boost their team to new levels. The average income is $38 630 per month. Focus: Build Your Belief in Your Influence. With humility, infuse passion for you purpose. Cultivate empowered leaders. Supporting 6 of your leaders in separate legs achieve the rank of Platinum or beyond will see you achieve Presidential Diamond. Each of your six leaders will have achieved a six figure rank! An amazing feat and your positive sphere of influence will have expanded further than you ever imagined. In beginning of 2017 there were 2 Australian Presidential Diamonds and by the end of 2017 there were 8. ~ Take one step at a time, focus on setting up classes, or One on One catch ups, online or in person to achieve the goal of Elite. This can be done in one class. ~ Understand placing to build for rank and encouraging baby sharers to participate on the journey with you. ~ Be consistent with the way you educate your team be it via social media, team meetings, emails or combination. ~ Stack classes at the beginning of the month, understand the promotions of the month and educate them to your team. ~ Have a clear understanding of your why, and share it with others. Incorporate oils throughout your daily life. ~ Engage in your community – your friends will notice. I encourage you to share with an open heart and mind to help serve others lead a healthier, happier life. There is someone out their waiting. My underlying passion and why is that these beautiful essential oils came into my life too late to help special loved ones. Please reach out to all those around you, as you never know what somebody maybe going through behind their smile. Reference: Figures and detailed sourced from doTERRA , click here. One of the first things that really intrigued me was taking Essential Oils internally the idea that I could put a couple of drops of lemon into my morning water was very appealing in a convenience sense. However, I questioned how it would affect my body. I researched and consulted others with a scientific background and interest in the health industry. It simply came down to this, I knew in every day foods that I consumed there were food colourings and additives. So why wouldn’t I try an essential oil derived directly from the plant, distilled and ensuring there are no synthetics added. It was a no brainer. My morning ritual for over a decade, relied on lemons and not only were they expensive, also a stressor if I was going away as I would need to have lemons first thing in the morning. It is so ingrained into my daily habitats. This helps rehydrate, cleanse and get the metabolism going for the day. I had been using real lemons but at times they were inaccessible – too expensive, unavailable or I forgot to buy them. So I had Lemon Squeeze as a backup. However that itself is full of preservatives and additives. To get something from the real thing in the most potent, pure form was amazing. Over a year of using the lemon essential oil I noticed my teeth sensitivity had diminished, to the point of almost being non-existent, I didn’t need sensitive tooth paste anymore. I am certain it has to do with not having that acidity from the lemon essential oil a huge bonus for me. Cooking with Essential Oils has definitely enhanced my culinary expertise. It is fun to experiment and add extra flavour enhancers knowing its not adding calories. Some of my favourites are Peppermint Brownies, Jaffa Slice, Bliss Balls Apricot and Ginger, Apple Pie Slice with Cinnamon and Cardamon, Chai Latte. Then to whip something up for dinner and have a little Lemongrass and Ginger add into spice up the Stirfry or Oregano and Basil for Italian. Salad Dressings with Lime, Lemon and Spearmint so refreshing. Completely non-exhaustive list. When you think about Essential Oils they have been around since the beginning of time, and are found in the pharmaceutical industry, make up, perfume, cleaning, and food industry. It certainly came as a surprise they are most commonly found in the food industry, think about multinational giant Coke a Cola they use essential oils as part of their flavouring. If we be honest with ourselves can you fully interpret the ingredients on packages? As a devoted health professional, wholefoods are key for me and knowing that the essential oils come directly from the plant product itself without any additives reassures my questioning side. When selecting goods off a shelf I am looking for wholefoods listed on the ingredients and not numbers or names I can’t pronounce. This is where you can see not all oils are created equal you can purchase oils from the supermarket or over the counter. I have done exactly that, however they don’t work as well and aren’t in the purest form. The support and community from Doterra has really changed my life in the most beautiful way. At my fingertips I have access to members support groups that will respond to my queries in minutes for all array of things from basic first aid, beauty tips and emotional support. Knowing someone else has gone through this before. I put my faith and backing in Doterra Essential Oils knowing they are Certified Pure Therapeutic Grade CPTG, that they wouldn’t allow any contamination of an oil. That the oils are produced and harvested from plants in their indigenous habitat and as a result helping small communities often very remote with education and water available on tap. This is Doterras strong social and community ethical work that makes me proud to be associated with them. Oh Boy Oh Boy – this is the Bomb! Recently released in Australia this enrolment kit is Epic. So many are picking this up and for many reasons, firstly you save over $200 and have the whole kit to transfer your home bring it into a complete low tox chemical free from home cleaning to toiletries and first aid. 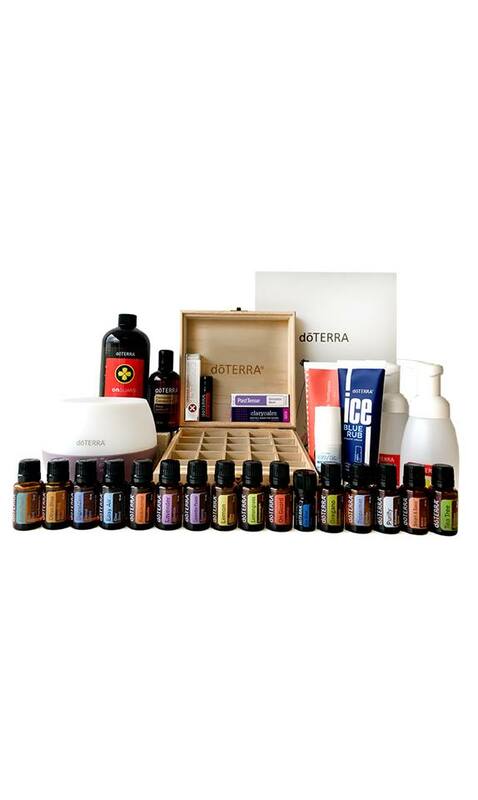 You will also receive my informative welcome pack guiding you to using essential oils, how-to-guide to buying dōTERRA directly, explaining the benefits of sharing dōTERRA and how to benefit from their promotions and giveaways, and lastly the ongoing support from me to mentor and guide you with recipes, remedies, videos and more. Wheezing, breathlessness, coughing and overall feeling restricted through chest and respiratory tracts. A dormant condition can come to surface with exposure to cooler weather and other environmental factors including air pollution. This affects thousands and our family is definitely one. I can hear my little ones struggling as soon as the weather changes. Fortunately with Easy Air I am able to dillute with coconut oil and apply to their chest and spines. This will help carry them through the day at school and daycare. It’s a blessing to start our day with Easy Air diffusing to help support the whole family and at night throughout their sleep. A 15ml bottle with 250 drops is only $27 wholesale, this has saved us a small fortune in puffers & preventatives. Plus the time to visit the doctor. 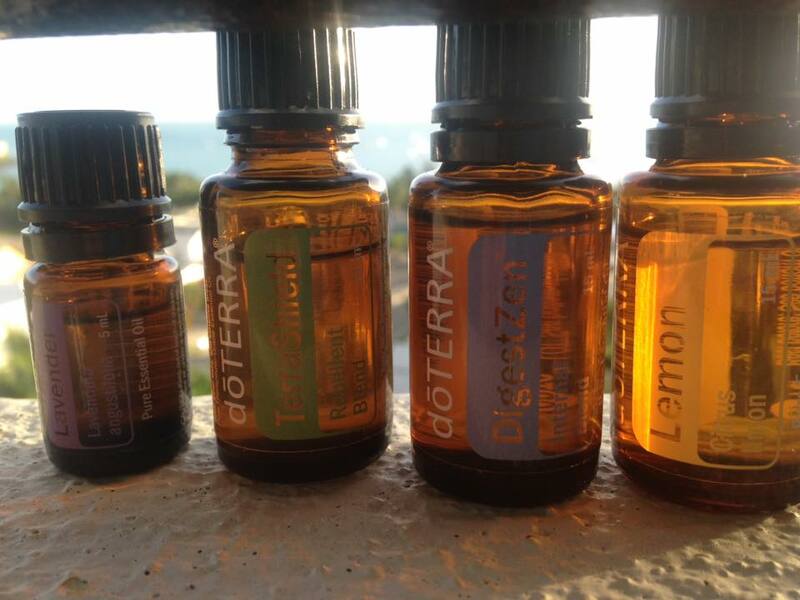 Bringing Doterra Essential Oils into our home was the best decision for our health we’ve made. Nature’s Solution support us and help alleviate conditions at the first signs before we end up on heavy medication or hospitalised. With years of sun damage and a family history of poor skin, I am under doctors orders for regular skin check ups. A year ago I was most alarmed to see a growth occuring on my nose, and sought the advice of two doctors and had a referral set to go to specialist to have this suspicious growth removed. This was the same time that Doterra had released a special that I could receive Salubelle, anit-aging roll on. Also known as botox in a bottle for free. At over $129 retail I was super excited to have this for free just by placing an order of essential oils and facial cleaning product, Verage Skincare. Hydrating serum – this is the bomb, so nourishing for the skin. All infused with beautiful essential oils to help repair and nourish the skin. I have seen it help immensely with acne, pigmentation, dryness and general aging. All four of these products are only $133 for retail. Or you can set up a wholesale account and save $33 right away. Back to salubelle it really did magical things for me and can’t recommend enough that you give this one a go. It is my most used roller oil by far in the Doterra Essential Oil range. 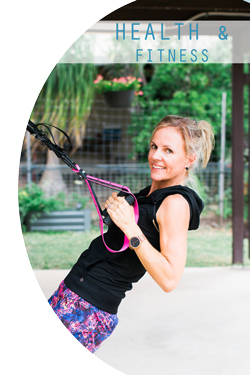 Letting you in on a little secret that has helped me help hundreds of clients drop dress sizes, some over 50kg – that is a whole person! Many loose 6kg in 6 weeks. 20+cm off the belly. Ultimately as a Trainer the majority of people I see want to loose weight. Anyone who has trained with me, knows that I could care less about what the scale says, your shape, size, age or ability. My goal is to help get your metabolism moving, and there are a series of things I know you can do naturally to kickstart this, then we work on building muscles, and then that is when the magic starts to happen. It is also about creating the right environment and head space, I want everyone to achieve their goals and get results, I will be there encouraging, checking in to make sure they are on track. I have felt the effect of Slim & Sassy it does get that metabolism moving. I don’t believe in meal replacement or supplements, I look for the long term. I don’t want anyone feeling disappointed 3 months down the track, it is about creating healthy bodies for life. I do love Slim and Sassy purely as it is all natural based – anyone could put it together. If you would like a bottle conveniently put together check out the bottle in more detail here. It is definitely coming with me on my 3 week holiday, as I know I could become a little sluggish and need to give my metabolism a little helping hand. Click here to purchase your own bottle or even better pick up the Smart and Sassy Essentials Kit, covers your top 10 oils for stress, sleep and all home first aid covered. Plus a large bottle of smart and sassy. Add chocolate and baking powder to bowl and grate for 5 seconds on Speed 8. Add eggs, essential oils, vanilla and oil and mix on Speed 7 for 20 seconds. Check consistency and repeat if necessary. Pour into lined square pan and bake for 15-20 minutes or until set. Careful not to overcook though, it should still be a little soft in the middle. I have tried a few healthy alternative brownie recipes and this is hands down my favourite, yummiest and most simple. Slice up and put an extras in the freezer so not tempted to eat more and have some great school lunch snacks and weekend treats. This Apple Slice uses only few ingredients, it’s really easy to make (and even easier to eat)! Melt butter in a small saucepan on the stovetop or in a small bowl in the microwave. Stir in egg. Add in Essential Oils. Bake and Freeze, perfect for school lunches or snacks. Happy to help you get started with your own set, click on shop to see the most popular kit with all of these included in large size, except for Ice Blue always comes in 5ml. Plus includes a diffuser, saving over $100. Alternatively you can choose the sample kit Smart & Sassy Essentials kit that has all these oils in the 5ml size. There is also the opportunity to purchase individual oils. Reach out to me if you have any queries happy to help guide you on best option. Almost everyone has at some point or has an ongoing issue. Todays sedentary lifestyle, high comms, seating hunched over an iphone scrolling the internet for hours is no good for our backs. Hopefully that has got your attention to roll your shoulders back and down, sit up straight, engage your core muscles have your shoulders over your hips and try to give distance between your ribs and hips, neck and ribs. Walking and sitting with good posture is definitely going to go a long way. However you may have suffered an injury or been in an accident like myself. I spent years in and out of physio and pilates. Trained my core up and that is really the only thing that has kept me from constant aches and pains. Being more active and insuring you stay limber, keep mobile, and try to gently move so you don’t start to cause blockages and referred pain…. yes I have been there. Lower back pain then pops up in the upper back. 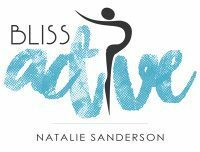 Here are some basic moves I first learnt from my physio and then through in depth Pilates training. As well as some Essential Oils that have provided immense pain relief on numerous occasions. From sprained ankles to help cool and bring down the inflammation, ice blue rub was a god send to me the night the chiropractor allowed me to take it home. Much better than crawling to the fridge to re-ice my ankle in the middle of the night. Please do seek professional medical assistance early as that can make a big difference before long term damage does set in. I hope you find these tips helpful. If you enjoyed this subscribe to my you tube channel for more handy tips. Feel free to share with friends and family, this could make a big difference for them. 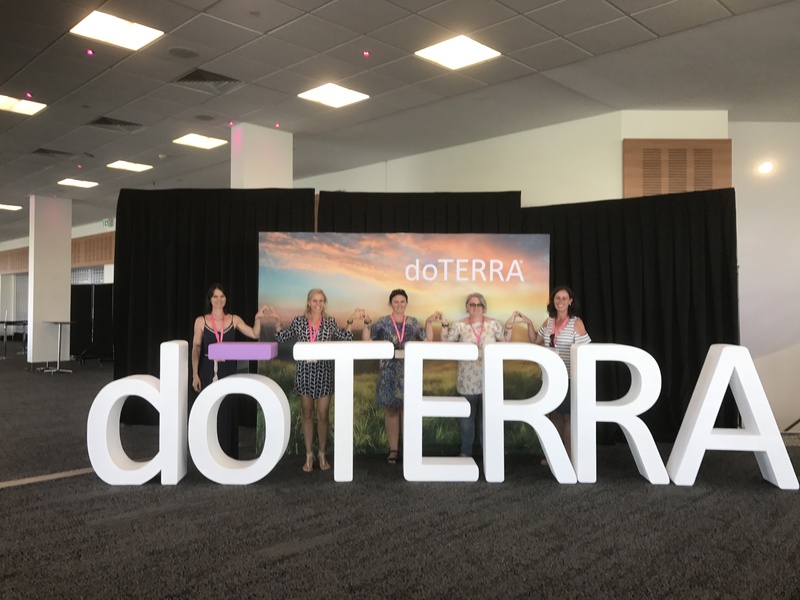 Wow, my first ever Australian DōTERRA convention definitely exceeded my expectations and I did hold very high hopes. The mere thought of sitting in a large auditorium listening to speakers on end for 3 days I wasn’t sure how I would hold up. With each new speaker that took the stage I was intently listening and trying to absorb their special personal stories, many of which tugged on the heart strings. Leaving you with a more in depth appreciation of the power of a single drop. From the very beginning all the DōTERRA Wellness advocates were spoilt with gifts of kindness from our team leaders; starting with Adeesh and Santoshi’s breakfast complete with practical souvenirs including gratitude journal, success booklet and ceramic bowl to mix up oils. Ben Lee – Intimate Live Guitar Performance “Being Passionately You” – Infinite patience you’ll reach your destination. Let your genius come to life. Thank you for watching and sharing in my genius coming to life. Hayley Hobson – Continue to enrol for the shear love of the business. Qualities look for in placing someone in key position: – Competent, Capable, Coachable, Confident & Great Communication. Paul Ovens – How are you leveraging your time? *Creative Collaboration of ideas* Rank Advancement Formulae No#1 Question – How many people have you invited? The key convention was filled with awe-inspiring presenters, several singing and encouraging the audience to be involved too. As the room became involved you could feel the energy rising. With very little business covered it was really personal success stories and hearing the journey many others had taken and listening to each individuals uniqueness they bring to touching others with Doterra. The aniticipation of Dr Hill was one I was most looking forward to and he most certainly delivered. Shared research on DDR Prime being undertaken by Cancer researcher Dr Patti, showed it stimulated apoptosis in a damaged cell and not in a healthy cell – just as the body should. Showed to protect sells against Reactive Oxygen Species ROS. 2 years ago started Gene Expression Study to look at the whole human geno – never been done before. How its effected by each essential oil. Particularly great to hear the in-depth knowledge on Spikenard and Pettigrain and the applications especially for High Blood Pressure, Immune Boost the later particularly good for these. Birch a beautiful woody aroma, fantastic for inflammation and pain. Aroma touch Storey of Paralysed snow vehicle accident, after daily aroma touch techniques from her friend, she woke with hunger pains, then went on to pedal bike by herself, eventually to walking in pool without braces. And 3 months later walking 565 steps in an exoskeleton. Amazing after such a crippling accident, and little hope the support team were just as surprised. Recognise and Compliment, little ways to share you care. The measure of success is how happy you are. A team is a group of people who trust each other. Shared a beautiful story of Frankincense and the impact in made in a non-verbal 5 year olds life and his family. Life Long Vitality Benefits – Live Younger for Longer….. Cell regrowth, feeling fantastic and energised. Jessie’s Team were treated to a special team only dinner and individuals gifted Leonie Dawson Collection for Personal development, and business growth planners, plus a Diamond Club special pack to share. Gala was fun-filled and energising celebrating the amazing Diamond achievements and dining on dishes infused with DōTERRA Oils before mingling and getting groove on the dance floor. Each speaker brought their own unique story and I look forward to imparting some of their gems with each of those that I touch along the way.